Northern Virginia is endowed. There are many talented individuals and organizations in the Greater DC area as well as in Fairfax County, not the least of which is the gifted dentists. We are so grateful for the many doctors we have worked with over the last 25 years in Northern Virginia. 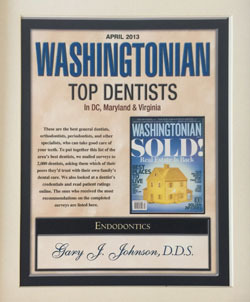 There are so many skilled dentists in this area; it is humbling that you would recognize us. The honor goes to the team of dentist's we have work with, which is for this reason that we are so pleased. Solving complex to simple problems to preserve our patient's smiles. You are giving individualized, unique treatment for each patient. Your kindness and dedication are the attributes that drive us to do our part. We are so fortunate to work and learn from each of you.